Unkempt and bedraggled, a man wanders through the forest, walking apace with a bear. When he finds the bear suffering after being hit with a poison-tipped arrow, he kills the bear with his own claws. Wolverine. One of the better of these superhero comic character movies, there is a plot, an interesting love story and more than just running and fighting. 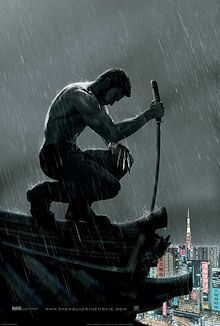 However there is all the action and technology-filled rooms one could want interspersed with the story of a man saved by the Wolverine, and an adventure that may save Wolverine himself.